The M4 Carbine and its variants fire 5.56 x 45mm NATO ammunition and are gas-operated, air-cooled, magazine-fed, selective fire firearms with a 4-position telescoping stock. The M4 can trace its lineage back to earlier carbine versions of the M16, all based on the original AR-15 made by ArmaLite. It is a shorter and lighter version of the M16A2 assault rifle, with selective fire options including semi-automatic and three-round burst. 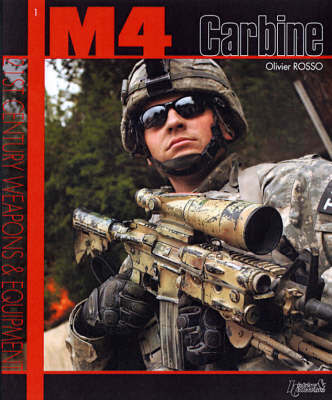 Used predominantly by US forces, and by many special forces around the world, this book provides an illustrated history of its design, development and operational history, including its use in Afghanistan and Iraq.